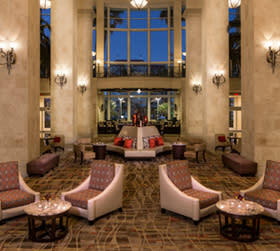 Tampa Bay is the perfect place to book your next meeting or convention. With unique venues like no other, a waterfront convention center and a host of lodging experiences, there is much to discover. We invite you to come explore our city; in fact, invasions are welcome! 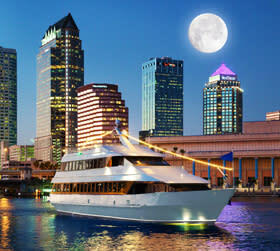 Discover our hospitality and find something different - treasure awaits you in Tampa Bay. Tampa International Airport, named one of the "Top 3 Airports in North America & Top 5 Airports in the World" by Airports Council International, consistently receives accolades for its efficient design and passenger-friendly facilities, meaning your attendees will enjoy a positive experience from the minute they embark on their Tampa Bay adventure. The depth of meeting space starts out with our city&apos;s many unique venues - a diverse collection of historic social clubs, sports stadiums, distinctive theaters and galleries, and high-tech flexible meeting spaces means there will be no shortage of off-site opportunities for you and your crew. The Tampa Convention Center, is likely the perfect venue for your next event. Its ideal size means you aren&apos;t overwhelmed by a massive building, walking lengthy distances from exhibit hall to breakout rooms or competing for building services and staff attention. The Center makes it easy to do business with well-appointed, comfortable spaces, Wi-Fi access, an on-site business center, audio/visual services, and in-house receiving and shipping. Two of Tampa Convent Center&apos;s most popular amenities are the historic streetcar stop adjacent to the center and the boat docks that create interesting off-site event possibilities. Tampa features a wide range of hotel options, all with familiar flags, consistent quality and plenty of amenities. Because of this flexibility, meeting planners can expect a good range of rates without sacrificing quality. Many hotels feature waterfront views and balconies, free shuttles to surrounding area attractions, in-room high-speed Internet access, 24-hour business centers, sundry shops and on-site restaurants and cafés. Join us in Tampa, and claim your keys to an enjoyable stay. Discover the equipment, food, transportation and other services and suppliers you need to make your meeting a success. Unlock Tampa Bay for your next meeting. Whether you’re planning a board retreat or a citywide convention, we’re offering meeting planners numerous deals and incentives to help discover Tampa Bay.